Just a friendly reminder that our Swingset Skirt sew-along will be all next week. You can purchase your Swingset Skirt pattern in paper or digitally, whichever you prefer. 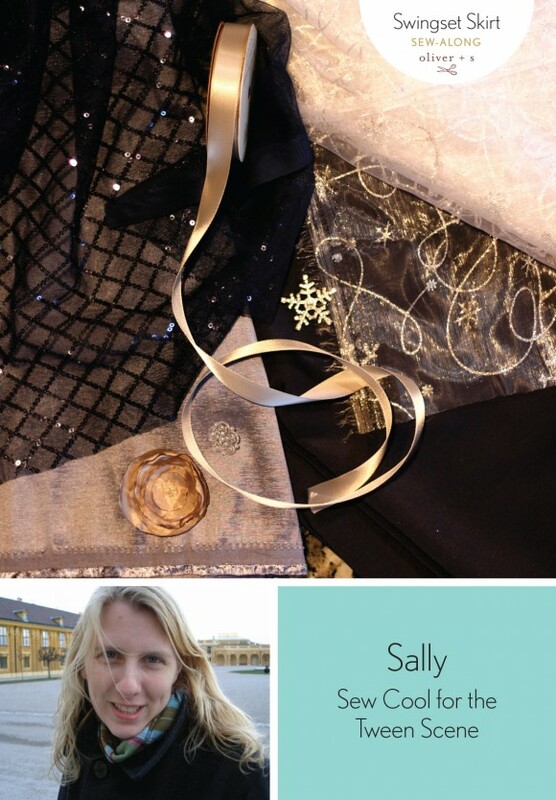 Let me introduce you to Sally who is our fifth panelist for the sew-along. She is one of the contributors to the Sew Cool for the Tween Scene blog. Besides the Tween Scene blog, there are several other ways of keeping up with tween sewing, you can follow them on: Facebook, Pinterest, and Instagram. As you already know the Swingset Skirt goes up through size 14, so the pattern will get you through those tween years. Sally has got some fun plans for her skirts. Take it away Sally! Sally here, a stay-at-home mom of four (two boys and two girls), learning my way around St. Louis, where we moved a year ago. I blog mostly at Sew Cool for the Tween Scene these days, as I sew for my two tween aged daughters more than anything else. 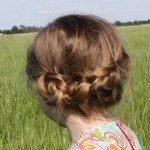 Sew Cool is a blog that is focused on finding stylish, tween-friendly patterns and ideas. The Plan for My Swingset Skirts: My plan is to kill two birds with one stone and get the Christmas/Holiday outfits sewn for my daughters while I have fun with this sew-along. While these will be the Christmas outfits, I like to make them in a way they can wear them all year long if they want, hence the blues, greys and silvers. Fabrics: I took my daughters shopping at the major fabric retailer in our area and had them pick out some fabrics from the “fancy fabric” section.The silver snowflake fabric is organza, the light bluish/grey is silk shantung, the other two came from the special occasion fabric as well, but I’m not sure what they are. I also have a blueish/grey ribbon and an accent button for each skirt. Sizes: I will be sewing a size 10 and a size 12 for my two daughters. Modifications: I will be making the underskirt more like the main skirt and making the top skirt out of the overlay. I will also be adding a fun ribbon gather to the overlay to pull it up on one side so that the underskirt shows more. I might possibly add a couple inches to the over skirt width to make it a little more twirly on top. Sewing Notes: Check to make sure the underskirt will peek through a little, if needed add some extra. Add some extra length to the tie in order to make a little more elegant looking bow. Plans for Styling: As these are going to be my daughter’s Christmas/Holiday outfits I have plans to make a fancy shirt of some sort out of some satiny white, possibly adding some silver highlights with beads and silver embroidery thread. We have plans to add some sparkle to some old scuffed up shoes by modpodging on silver glitter. Finally, we are keeping our fingers crossed that we can find some fun tights with silver accents on them somewhere. We also have plans to make some hair flowers (like the one in the picture) to match with some sparkly silver beads in the middle. I am very excited to yours all sewn up! Beautiful “fancy” fabrics & trims. My younger granddaughters, aged 8 & 10, would love, love, love your version of the Swingset Skirt. Can’t wait to see the finished result. Cheers. This looks great! Oh and my husband and son are the biggest Cardinals fans!